Our fifth episode, recorded on Friday (25 June 2010). An inter-continental conversation about App Stores, bundled applications, driving adoption and much more. Eric Mack (Productivity expert, colleague and advisor to David Allen of GTD fame, Lotus ISV and blogger, based in the mountains of California, homeschooling father of 4 daughters). This podcast is 68MB and runs for 70 minutes at 128kps. Enjoy! Will an AppCatalog or AppStore really be the answer? Who exactly are we targeting (users, admins, developers, executives)? How can ISVs make Lotus apps easier to consume and deploy? Where does Microsoft stand these days? Eric: Is it actionable or is it reference? Decide sooner and get things done. Michael: Automate your text entry using Typinator (Mac) or Texter (Windows). Michael’s latest book – User Adoption Strategies. Our fourth episode, recorded today (18 June 2010). 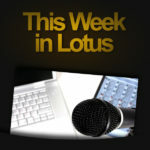 A controversial week in the Lotus community – much to discuss! This podcast is 63MB and runs for 65 minutes at 128kps. Enjoy! Our third episode, recorded today (11 June 2010). A smaller-than-usual cast, but plenty to discuss! This podcast is 62MB and runs for 65 minutes at 128kps. Enjoy! Our second episode, recorded today (4 June 2010). Please forgive us for a little noise on the recording today – we’ll try to do better next time! Peter Smith, Mitch Cohen and Lewis Turek. This podcast is 59MB and runs for 61 minutes at 128kps. Enjoy!